Elie Metchnikoff had studied at the Kharkoff University and championed in the field of immunology. He went to become the deputy director of the prestigious Paris based Pasteur Institute in 1904. It is here that he discovered the process of phagocytosis through which the white blood cells could destroy pathogenic bacteria for which he received the medicine Nobel Prize. He is also regarded as the father of probiotics. He had observed that the peasants of Bulgaria possessed good health and long life and linked this to their regular habit of consuming yoghurt and other dairy products prepared through the fermentative action of lactic acid bacteria. He demonstrated that the Bulgarian bacillus (discovered by Stamen Grigorov) was behind such health benefits. He had proposed that the large intestinal microflora releases toxic molecules in our body which lead to diseases and early aging symptoms. The insignificance of the large intestine to humans with respect to the digestion of roughages (leafy vegetables) as compared to other mammals was also pointed out by him. In 1907, the scientific reasons that credit the lactic acid bacteria with health benefits were laid down in the form of postulates by him in the book, “Prolongation of life”. There he suggested that the bacteria S. thermophilus and L. bulgaricus employed for yoghurt manufacture provide health benefits to the hosts who consume yoghurts as these bacteria are able to inhibit the growth and fermentation ability of the undesired microflora of the intestines. Later, he went on to demonstrate that how the beneficial bacteria help to improve digestion and the immune responses. Since, the harmful microbes inhabiting the large intestine were dependent on the food provided by the host they can be modified and be replaced with the beneficial forms. Metchnikoff tested this hypothesis on himself and continued the habit of drinking fermented milk until he died at the age of 71 leaving behind a rich legacy in the field of probiotics. Inspite of the pre-existing evidences of health benefits as provided by the beneficial bacteria, little effort was taken to make them more popular particularly with respect to the industrial aspect. The discovery of antibiotics during the world war period did not help the cause of popularizing probiotics either. Infact people went on to abandon the Metchnikoff theories related to probiotics for quite a long period of time and nothing significant came out in the field between the period (1908-1964) to help boost this industry in the Western world. In one of the earliest discoveries related to the probiotics rendered health benefits, Tissier demonstrated that the bifidobacteria has a profound influence in maintaining health in infants who were breast fed. The beneficial bacteria were found to modulate the harmful intestinal microflora of the infants and prevent infections of the intestine. At that time there were very few takers for the bacteria mediated health effects and people questioned whether L. bulgaricus strains administered through yoghurt and related food products could survive the transit though GI tract and colonize it to produce useful effects. As early as 1920, it was well established that the fermented milk containing L. acidophilus could settle the issues of indigestion. The effective growth and colonization of the gut by the useful bacteria were thought to be the essential prerequisites for their ability to impart health benefits. Accordingly, in 1930 Shirota shifted the focus of his research towards the selection of intestinal bacterial strains that could survive the extreme conditions presented during the passage through the GI tract and went on to discover L. acidophilus Shirota. 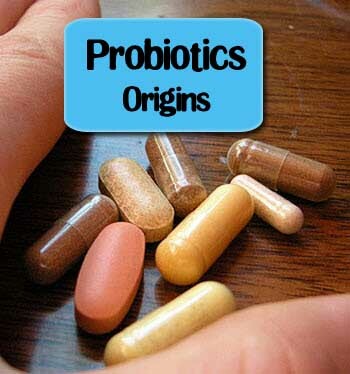 Probiotics was initially termed as an opposite to antibiotics. It is a mix of ‘pro’ and ‘biotos’ (the Greek words) and being translated for life. Kollath (1953) has been credited with the first ever use of the term when he proposed the use of health supplements to restore back the health condition of malnourished patients. In 1954, Vergin suggested that the use of probiotic in diets counter the microbial imbalance in the host body due to antibiotic intake. This reference is arguably cited by many as the form that is used to define probiotics today. Later on the term went on to be modified by Lilly and Stillwell (1965), Parker (1974) and Fuller (1989) and finally defined by WHO in its present form through a joint committee with FAO. The probiotics has a primitive existence in our lives through ancient civilizations. It is only for the good that the knowledge has been put in use once again with all its health benefits. With proper research and knowledge sharing, it can only get better for probiotic based therapeutics in humans.